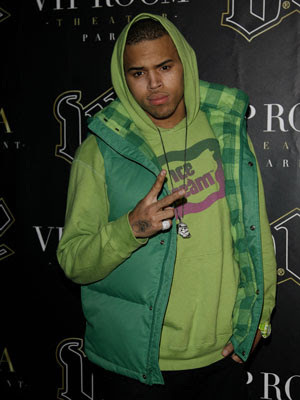 Chris Brown was charged with two felonies Thursday in connection to his Feb. 8 altercation with Rihanna. He is facing assault by means likely to create great bodily injury and criminal threats. If convicted, he faces four years and eight months in state prison. He will be arraigned today at 3:30 p.m. The first count claims that he "who did willfully and unlawfully commit an assault on Robin F [Rihanna] by means of force likely to produce great bodily injury." The second count of criminal threats states that Brown "unlawfully threatened to commit a crime with which would result in death and great bodily injury to Robin F. with the specific intent that the statement be taken as a threat. It is further alleged that the threatened crime on its face value and under its circumstances in which it was made was so unequivocally and unconditional and specific to convey to Robin F a gravity of purpose and an immediate prospect of execution. It is further alleged that the said Robin F was reasonably in sustained fear of his/she safety and the safety of his/her immediate family."